Be adventurous and reach for this mixed-metal ring. 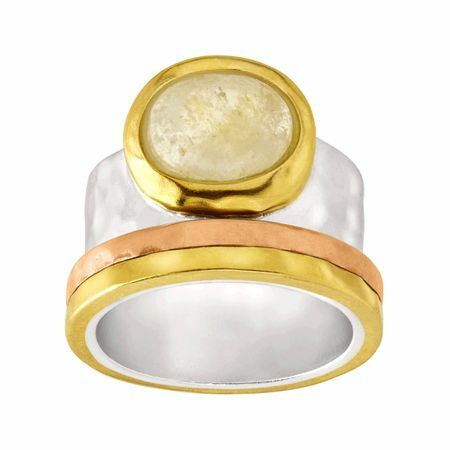 Featuring a fun combination of metals like brass, copper, and sterling silver, this piece brings warm shades into the mix with a natural citrine atop the band. Ring face measures 3/8 inches in width.